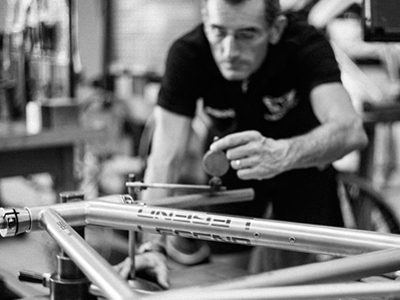 I am proud to be in a position to work directly with Marco Bertoletti and his team at LEGEND who manufacture some of the best framesets in the world. If you are interested in purchasing one of their custom made frames in Steel, Aluminium, Carbon fibre or Titanium please call me to discuss your personal requirements on 07771 520 112. If I’m not available please leave a message and I will call you back as soon as I possibly can.